Kellen Winstel has no idea that life isn’t better under the sea. A Midwestern teenager, all he cares about are girls, glory and getting revenge on Garrett Weaver. But when a high school hazing ends with Garrett discovering that he is a merman and Kellen being charged for attempted murder, both teens find their worldviews changing in ways no one can explain. Ranging from those who swim the deepest depths, to hunters sent ashore, Salted tells the stories of dangerous merfolk, selkie slave catchers, and the innocent souls trapped in their deadly wakes. Here elusive runaways will sacrifice all to keep their freedom, just as desperate others will do anything to win their own. Because of all the dark things lurking beneath the waves, one brutal truth remains: only through the loss of innocence does one become Salted. 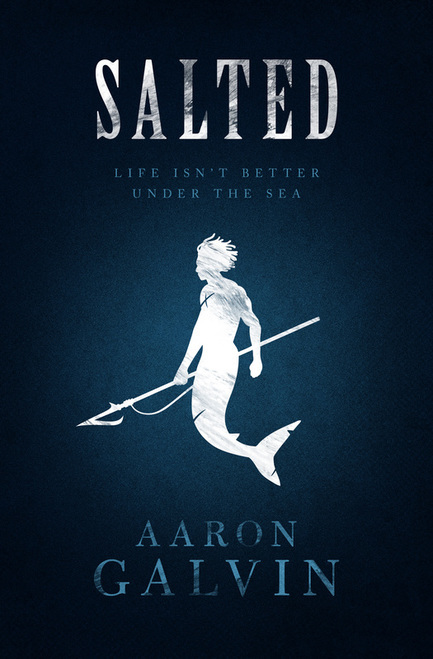 If you’re looking for stories with multiple POVs, stirring action, and a unique twist on merfolk and selkie legends, then you’ll love Salted. Dive into this exciting series today and find out why you’ll think twice about ever swimming in the ocean again. Salted was an intriguing read that kept me hooked. It is a different spin on the underwater world and creatures which I found brought quite a bit of originality to the genre. Aaron Galvin has a vivid and rich imagination (I'm a fan of Tolkien and Martin so I'm really into detail)...The plot is clever, inspiring, and definitely thought provoking. I'll never be able to look at a seal in quite the same way again! All in all, an interesting read and one that I would recommend to Young Adult fans who like a little mythological break in their day. It's emotional enough for us gals and biting enough for the boys, leaving the auditorium open for an audience of one and all. We've been in a bit of a rut in the merbook business lately. Waiting for sequels, reading some filler in the time between...And then Salted waltzes in, and it blew my mind...it's a totally fresh take on selkies and merpeople, and definitely one of the best of the newer crop of mer-novels released. Go read it! One of the best things Salted has going for it is the presentation of a type of world we haven’t seen much, if at all, in popular young adult fiction today...Salted is sure to grab your interest at the onset. 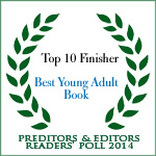 We have seen a glut of young adult fiction that has made its way to bookshelves. Vampires, werewolves and post-apocalyptic survivors have become the dominant characters in many books for young readers. It’s a trend that has very much worn out its welcome if you ask me. That’s why it is so refreshing when an author creates something new and genuinely interesting. Enter Aaron Galvin’s Salted, a book that actually presents a mythology that I never knew existed. ​Teachers & Librarians - want a free Salted literature guide?